Indiana Judge Rules First Church of Cannabis Can't Use Marijuana as Sacrament. In a ruling handed down last Friday, Marion County Superior Court Judge Sheryl Lynch rejected the church's argument that Indiana's Religious Freedom Restoration Act (RFRA) allows for a religious exemption from state and federal prohibitions on marijuana. "Permitting exceptions to Indiana's laws prohibiting the sale, possession and use of marijuana for religious exercise would undermine Indiana's ability to enforce anti-marijuana laws at all; anyone charged with violating those laws could simply invoke 'religious; exemption, triggering time-consuming (if not practically impossible) efforts to sort legitimate from illegitimate uses," Lynch wrote in her opinion. North Dakota Legalization Initiative Hands in Signatures. Backers of a legalization initiative that would remove marijuana from the state's drug schedules handed in some 19,000 raw signatures last Friday, the deadline for signature gathering. The measure needs 13,500 valid voter signatures to appear on the November ballot. The signature cushion looks big enough that it could actually happen. Maine Governor Vetoes Medical Marijuana Expansion Bill. Gov. Paul LePage last Friday vetoed a bill that would have allowed doctors to certify medical marijuana for patients for any reason, as well as revamping the caregiver system and removing some obstacles to obtaining patient cards. The bill will now go back to the legislature for a possible effort to override the veto. Michigan Adds More Qualifying Conditions. The state on Monday added 11 medical conditions, including autism, chronic pain, Parkinson's disease and Tourette's syndrome, to the list of ailments that could qualify a person for a medical marijuana card. That brings the number of qualifying conditions to 22. 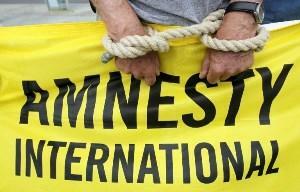 Amnesty International Adopts First-Ever Policy on Drugs. Amnesty International has adopted new proposals to tackle the devastating human rights consequences of misguided attempts by countries to criminalize and punish people for using drugs. Representatives voted to adopt what will be the organization's first-ever position on how States should address the challenges posed by drugs from a human rights perspective. The proposed policy calls for a shift away from the current "scorched-earth" approach of heavy-handed criminalization, to an approach where protection of people's health and rights are at the center. Mexico's Next Interior Secretary Will Push for the Legalization of Recreational Marijuana. Incoming Interior Minister Olga Sanchez Cordero has begun to push for the legalization of recreational marijuana and possibly opium poppy cultivation. It's an early move from the Andres Manuel Lopez Obrador (AMLO) administration, which will not take power until December, to make a dramatic break from past Mexican drug war policies. Caribbean Nations Agree to Consider Marijuana Legalization. The Caribbean Community (CARICOM) has agreed to "review marijuana's current status with a view to reclassification," noting "human and religious rights" issues stemming from criminalization as well as "the economic benefits to be derived" from legalization. The move comes after a lower-level committee recommended replacing marijuana prohibition with regulation. Above all, the news from Mexico, but also from the Caribbean, and from Amnesty International and maybe a very nice surprise from North Dakota. Meanwhil a pitiful ruling from an Indiana judge whose best argument for denying the right to religious use of cannabis is that it would be too difficult to tell who was sincere in their beliefs and who wasn't. Does the judge think courts should only deal with easy questions?